WASHINGTON — It’s so unpopular that lawmakers from both parties and President Trump’s top drug regulator want to kill it. But the pharmaceutical industry, flexing its powerful lobbying muscles, is successfully fighting back efforts to end a loophole that costs taxpayers and consumers billions of dollars a year. In recent years brand-name drug makers realized they could block generic competition by refusing to sell samples of their products to companies that wanted to make the lower-cost copies. All they had to do was cite safety rules that restrict sales of certain drugs with dangerous side effects. Without brand-name samples to analyze and compare, generic manufacturers can’t test their products and prove to the Food and Drug Administration that their lower-cost copies are the same. It’s a Catch-22 that allows brand-name companies to reap the rewards of their lucrative monopolies for months or even years after their patents have expired. The FDA said in 2016 it had received more than 150 inquiries from generic companies that said they could not obtain samples for bioequivalence testing. And Trump’s FDA commissioner, Scott Gottlieb, has said the “shenanigans” must stop if the president’s goal of lowering drug costs is to be realized. But under heavy lobbying pressure from major drug industry trade groups, Republican leaders who control the congressional agenda have blocked floor votes over the last year on a bill, called the CREATES Act, to close the loophole. The pharma industry and a variety of allies and front groups it funds are attempting to raise safety fears and argue the legislation would create a bonanza for trial lawyers, surefire ways to get conservatives to balk. 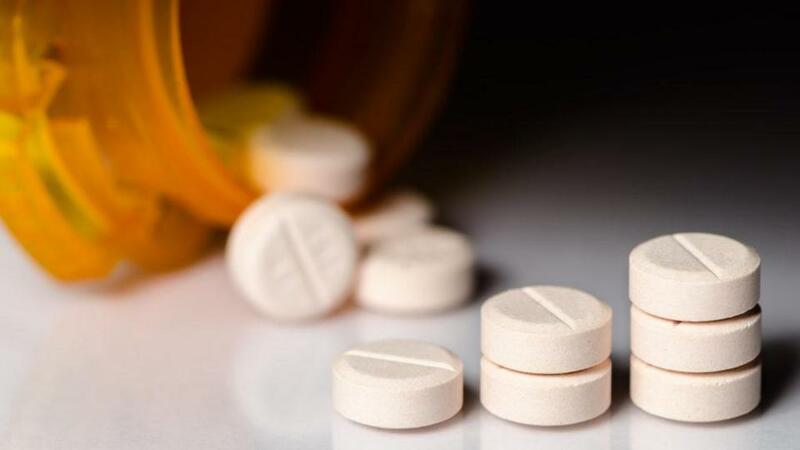 One recent op-ed by an author affiliated with an industry-funded group called Patients Rising said closing the loophole could result in safety problems like the tragic thalidomide birth defects of the last century. “It’s just an example of the scare tactics,’’ Senator Pat Leahy, Democrat of Vermont, said in an interview with the Globe. “The people who are opposed to it are desperate, because they are making huge amounts of money by stopping the CREATES Act. Republican Senator Mike Lee of Utah, a prime cosponsor of the bill, calls safety arguments a “pretext’’ for opposition. The bill would save the federal government at least $3.8 billion over 10 years, according to a government estimate cited by Leahy. But advocates say that underestimates the savings. A 2014 study sponsored by generic drug manufacturers identified $5.4 billion annually in lost savings on 40 drugs alone, although the study did not disclose the 40 drugs. A test of Congress’s resolve to shut down the industry’s tactic loomed this week, but Leahy and Lee failed in their bid to get the legislation attached to the budget package Congress worked on approving this week. The drug industry and its allies, meanwhile, have been flooding Congress with arguments to allow the practice to continue. “It is pernicious, the influence that some opponents have on a policy level, and how they have basically stopped any opportunity for reform that is going to give patients some relief from high drug costs,’’ said Michael Brzica, vice president for government affairs for the top generic industry advocacy group, the Association for Accessible Medicines. Brzica’s group is massively outgunned in raw lobbying power on Capitol Hill and federal agencies. The AAM disclosed about $5 million in lobbying expenditures in 2017. That compares with more than $25 million spent by the Pharmaceutical Research and Manufacturers of America and more than $9 million spent by the Biotechnology Innovation Organization, the two biggest trade lobbying groups for branded companies, according to data compiled by STAT, the health care news website. PhRMA and BIO both oppose the CREATES Act. The Massachusetts Biotechnolgy Council, representing one of the biggest industries in the Bay State, also opposes the proposed law. It says the FDA already has the power to force brand-name companies to provide samples to potential generic competitors. Beyond their overt muscle, the industry groups and their member companies spend money on front groups and donations to other organizations that carry their message. Some of the organizations fighting the CREATES Act have innocuous-sounding names: Patients Rising, Patients Alliance for Drug Safety Protections, and Alliance for the Adoption of Innovations in Medicine. The American Conservative Union, which sponsors the annual CPAC gathering of conservatives outside Washington, and Americans for Tax Reform, which is led by antitax activist Grover Norquist, also are outspoken against the bill. “Like a bad penny, bad legislation keeps coming back on Capitol Hill, but, unlike fine wine, it does not get better with age,’’ said Larry Hart, a senior fellow at the American Conservative Union, in a post on the conservative website Townhall. The use of myriad groups gives the appearance of a broad-based, grass-roots movement against the bill. An example of the rhetorical strategy came just last week. His op-ed article appeared in The Hill, an inside-the-Beltway publication. Tufts said he wrote the article after conversations with representatives of the nonprofit group Patients Rising, which discloses direct funding from Amgen, Celgene, Pfizer, and other big drug companies. Tufts, who said he came under attack on Twitter after his article appeared, said he does not receive any money from Patients Rising or industry. He said in an interview that he’s a survivor of a blood cancer called multiple myeloma and credits his remission to a drug that is based on thalidomide. He would not name the company that makes the drug, but the circumstances he described match Celgene’s multiple myeloma drugs Thalomid, which is based on thalidomide, and its second-generation blockbuster Revlimid. Celgene is at the center of a controversy over its refusal, based on its FDA-approved safety protocols for the potentially dangerous drugs, to sell samples to Mylan Pharmaceuticals, a developer of generic drugs. In 2014, Mylan filed an antitrust lawsuit claiming Celgene was gaming the system to block competition. That lawsuit continues to make its way through the courts. New Jersey Democrats are slamming Celgene’s former chief executive, Bob Hugin, for running the company while it fought lower-cost generics. Hugin is mounting a Republican challenge to Democratic Senator Bob Menendez. Celgene said in a statement to the Globe that it has made samples available to generics manufacturers in some cases, but opposes the CREATES Act because it would jeopardize patient safety. Under a court settlement, the first generic version will be available on a limited basis in the United States in 2022. Its last patent on Revlimid expires in 2027. Celgene said it sold $8.1 billion worth of Revlimid in 2017. It predicts Revlimid sales will rise to $9.4 billion this year.